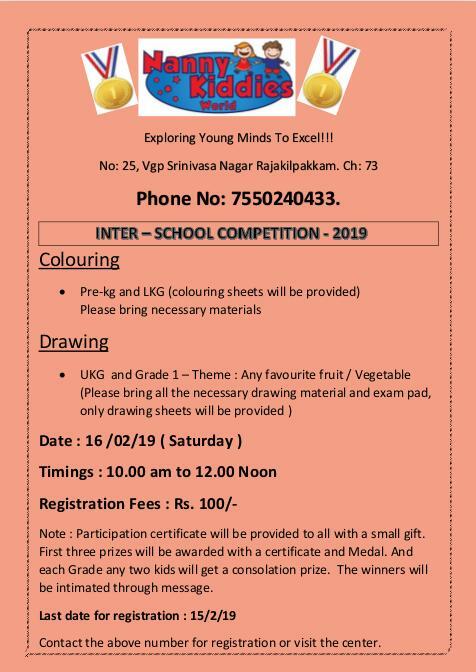 Colouring and Drawing competition by NANNY KIDDIES WORLD on 16/02/19 (Saturday). Interested Parents can sms to this number 7550240433 or send mail to : nannykiddiesworld@gmail.com mentioning the Child’s Name, Class, Name of the event and Father’s name. For further details, Contact the above mentioned number.